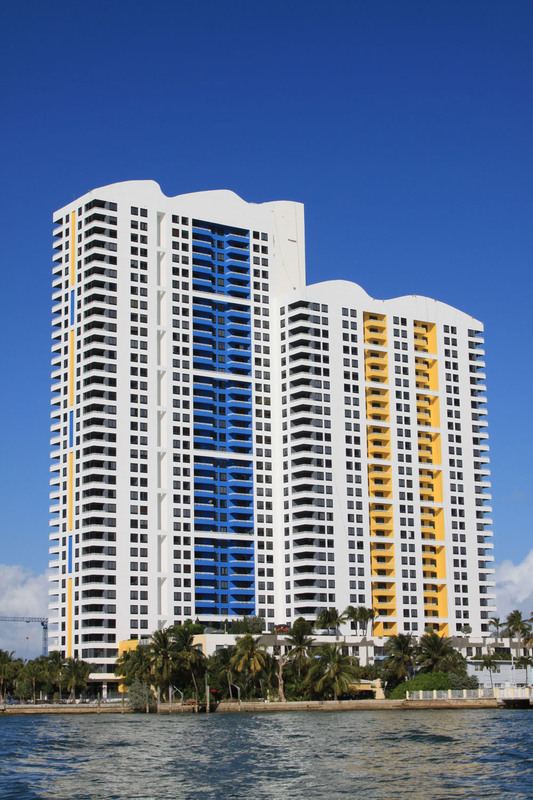 Waverly South Beach, or simply the Waverly is a 29 and 35 waterfront building built in 2001 located near the southwestern side of the barrier island, easily identifiable by its colorful design and the wave-like rooftop that contributes to the building's name. 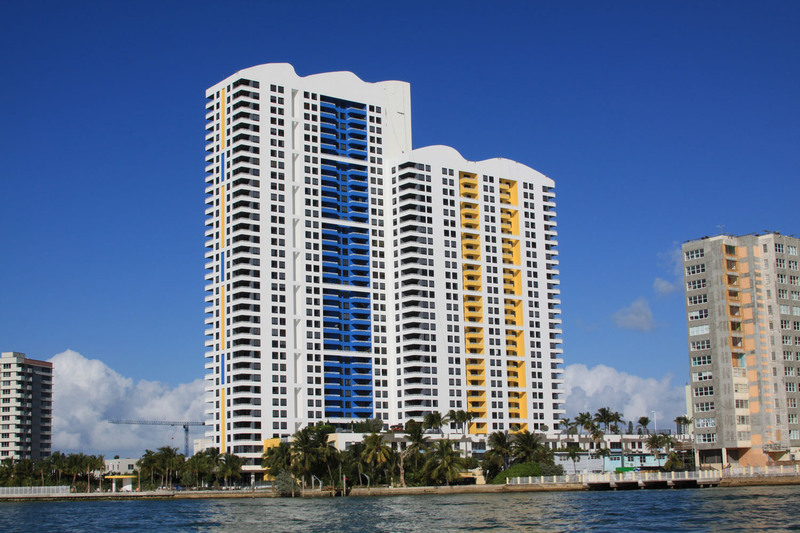 Residents of this building have clear western views of Miami Beach many island neighborhoods which include the six Venetian Islands, Hibiscus Island and Star Island. 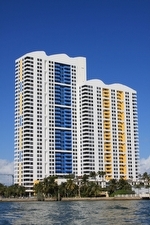 You'll find one and two bedroom Miami Beach condos for sale when exploring the Waverly condo. The common areas of the Waverly condo were designed using elements of Feng Shui, ensuring that a sense of tranquility and harmony emanate throughout the building. The building offers 24-hour security, valet parking, concierge services, a party room with kitchen and billiards table, a pool area overlooking Biscayne Bay, Jacuzzi, volleyball court, barbeque area, tennis courts, convenience store, landscaped garden plus much more. Units offer private balconies, foyers, gourmet kitchens with GE appliances, walk-in closets in the master bedroom and spacious marble bathrooms. Waverly is just west of Alton Road, one of the arterial roadways in Miami Beach where you'll find various shops and restaurants and attractions, such as Flamingo Park which Waverly residents can walk to. Lincoln Road is barely ten minutes to the northeast or you can head directly east of the building and explore all of Ocean Drive. The Venetian Causeway and MacArthur Causeway are roughly equidistant to the north and south and they both provide a means of visiting the city of Miami.